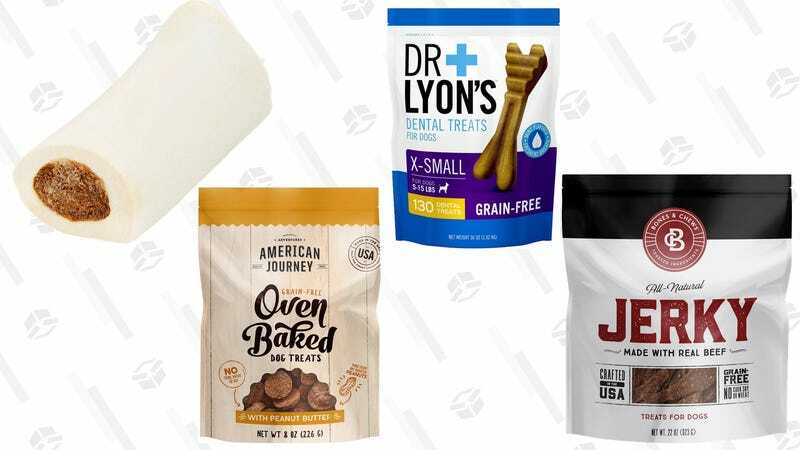 If your dog deserves two bags of dog treats (he does, obviously), then you might as well get a third bag for free from this limited time Chewy sale. Just pick any three dog treats from this page, and the cheapest of the three will become free at checkout. Who’s a good deal? Who’s a good deal? This is!